A few months ago, while browsing the cookbook section of my favorite bookstore, I came across this book. 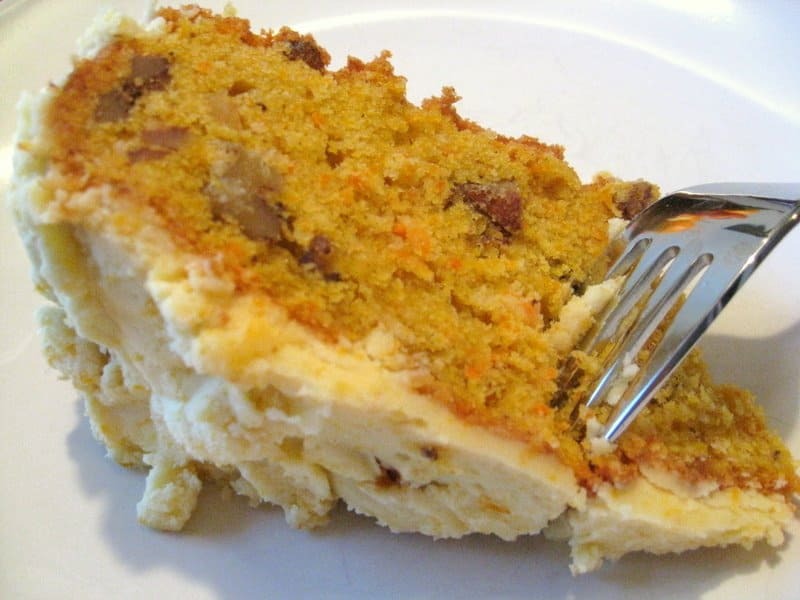 I picked it up, opened it and stared at the very first thing that came up: carrot and cardamom cake with mascarpone frosting. I was buying the book right then and there. Did I have an occasion for which to make a cake? No. 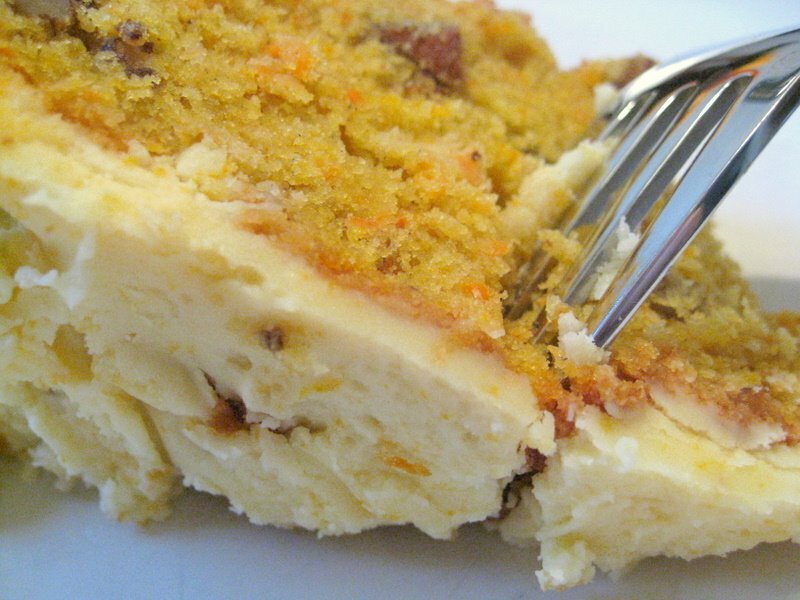 Am I a carrot cake connoisseur? No. What was it that struck me so by this recipe? I’m not sure. I’ve never cooked with cardamom before, but for some reason the word just struck me. I added the book to my little cookbook shelf, satisfyingly knowing that one day, I would make this cake. I opened it up on several occasions to make a variety of dishes from it. 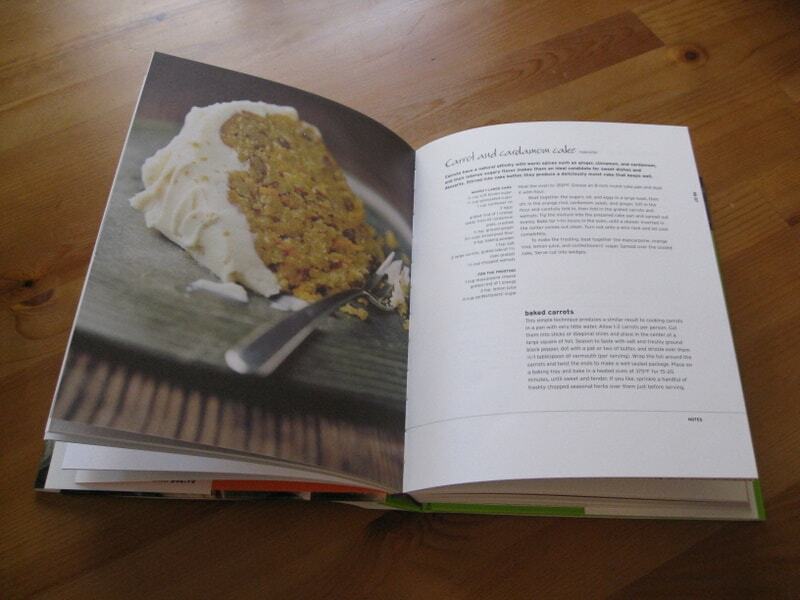 The book’s focus is on seasonal cooking and I appreciated the way it was organized by seasons and ingredients. Alas, a few months passed and still I had no reason to make the cake. On my usual weekly trip to the market one day, I picked up a bag of cardamom powder. I had the carrot cake in mind, but again, no immediate plans for making anything with cardamom. While cooking other things, I’d sometimes take the baggie out of my pantry, inhale the smell of cardamom (it’s quite potent–even through the plastic) and place it back on my spice shelf. Cardamom is a spice often used in Indian cooking, incorporated into sweets. It’s earthy, spicy and nutty at the same time. And, finally. The occasion called. My friends’ annual Thanksgiving potluck (a glorious day of BBQ’d and deep fried turkey, tons of sides, cornbread, sweets, holiday drinks and good times). I was making the cake. I bought a container of mascarpone cheese, extra powdered sugar (forgetting I already had some) and 2 large carrots. The cardamom, I already had. I followed the book’s recipe, with a few tweaks. Instead of using sunflower oil, I used canola. I also opted for cardamom powder v. pods (10 pods equal 1.5 teaspoons of ground cardamom). The results? Well, what can I say. The cake was good. Moist and unique (the citrusy addition into the mascarpone certainly added a great contrast to the cake). But, I would have done a few things differently. Most people I talked to emphasized the need for more frosting. I agree. Either double the recipe, or split the batter into two cake pans, essentially making a two layer cake. Spread the extra frosting in between the two layers. If doing this, cut down your bake time. My cake baked for less than an hour and could have probably been out of the oven in 45-50 minutes, but I suppose that depends on your oven. Will I be making this cake again? Most definitely. Perhaps in cupcake form. Below is my adapted recipe. 1. Preheat the oven to 350 degrees F. Grease a round cake pan and lightly dust it with flour. 2. Beat together: sugars, oil, eggs in a large bowl. 3. Stir in orange rind, cardamom and ginger. 4. Sift the flour with baking soda and salt (there is a typo in the book and there is no mention of baking powder or salt in the directions). Fold into the mixture. 5. 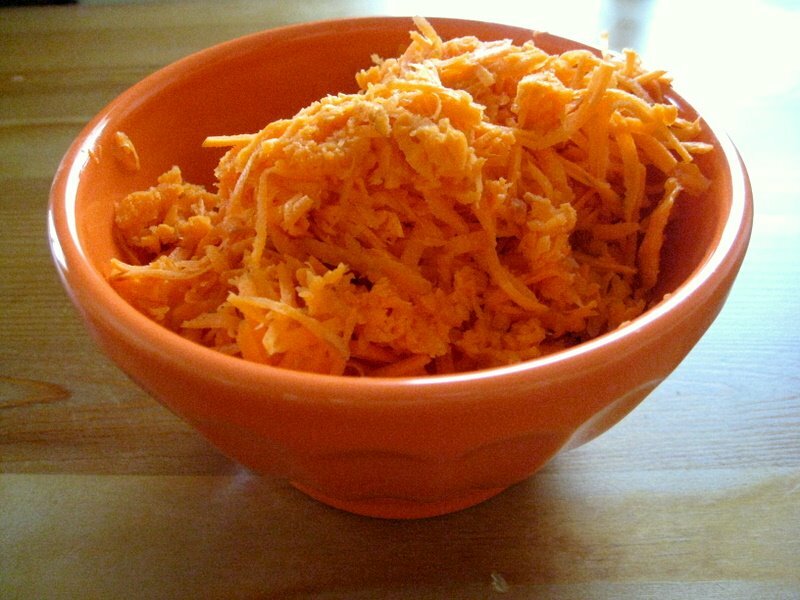 Fold in the grated carrots and walnuts. 6. Pour into cake pan (or two) and bake for about 1 hour (until a toothpick inserted into the center comes out clean). Meanwhile, make the frosting by beating together all of the ingredients. Wait until the cake cools (be patient, I was not) to frost.